Pearl Jam honored the late Chris Cornell Friday night with a performance of the obscure track, “Missing,” written for the 1992 cult classic Singles and later released on the EP, Poncier. 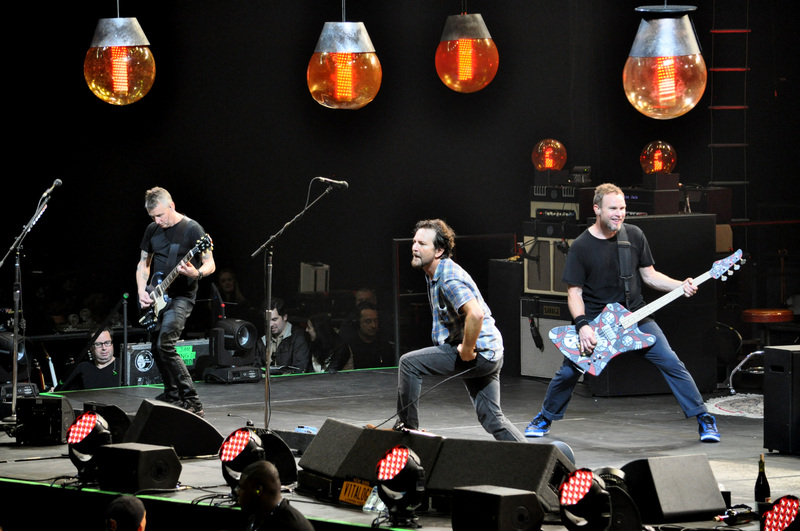 The tribute came during Pearl Jam’s performance at Safeco Field in Seattle, Washington where the rockers continued their tour by showcasing stellar covers and featuring performers from Seattle’s grunge scene, Pitchfork reports. Soundgarden drummer Matt Cameron, who is also a member of Pearl Jam, welcomed guitarist Kim Thayil (Soundgarden), who was wearing a Cornell shirt, to cover MC5’s “Kick Out the Jams.” Later, in addition to Thayil, Pearl Jam was joined by Mudhoney’s Mark Arm and Steve Turner to cover the Stooges’ “Search and Destroy,” and Dead Boys’ “Sonic Reducer,” Rolling Stone reports. Wednesday night’s show raised over a million dollars to combat issues concerning homelessness in Seattle. The group hopes to raise $10 million in the next year with the help of the businesses community, non-profits, and government agencies. Pearl Jam continues their stadium tour with upcoming dates at the Washington-Grizzly Stadium in Missoula, Montana August 13 followed by Wrigley Field in Chicago August 18 and 20. Finally, the band will end their Stadium performances September 2 and 4 at Fenway Park in Boston.